Montana Veteran Bobby Wilson talks about his frustration trying to get health care, and people in a position to help explain what they're trying to do and why it's not working. Two years ago news broke about a scandal at the Veterans Administration hospital in Phoenix. Congressional investigators found that the hospital was covering up the lengthy waiting times that veterans faced trying to see doctors. There’s evidence that 40 veterans, maybe more, died while waiting for medical appointments. Congress took action, authorizing $10 billion for a new program called "Veterans Choice," aimed at speeding veterans’ access to care. But a year into it, there’s widespread recognition that Congress’s fix isn’t working. In February Senator Jon Tester sent his staff to 28 towns across Montana, and dozens of veterans, like Bobby Wilson in Superior, complained about their continuing inability to get their health needs met in a timely manner. "The VA can’t do it in 7 months? 8 months?" Wilson asked about his attempts to get his hearing aids fixed. "Something’s wrong," he said. The idea of Veterans Choice is simple: It’s to make it faster and easier for vets to get medical care. They’re supposed to be able to go straight to local doctors or clinics if they live more than 40 miles from a VA clinic, or if they’d have to wait more than six weeks to get an appointment at a VA facility. But to get those local appointments, veterans have to go through a third party. It’s a company called HealthNet, and there have been a lot of complaints about HealthNet in Montana. At the meeting in Superior, Bobby Wilson described what it was like trying to get an appointment. "Three hours on the phone with her, not waiting, talking for three hours trying to get this thing set up for my new hearing aids," Wilson said. And it’s not just vets who are saying that this fix that’s supposed to streamline their access to healthcare is failing them. 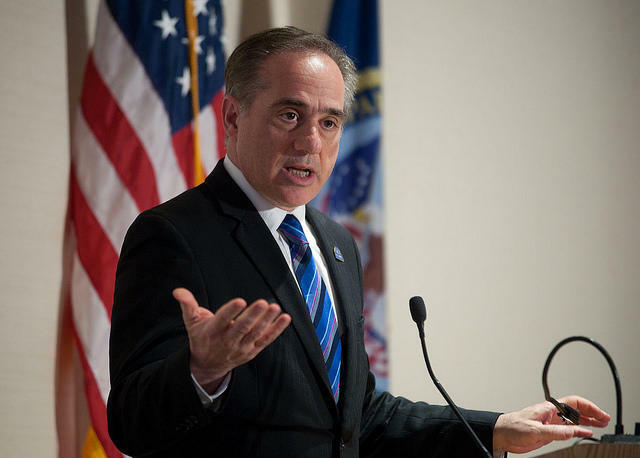 "This program, as we’ve seen over the past year, is just too difficult to use and not enough veterans are getting the access to care that they need," said Dr. David Shulkin, undersecretary of health for the Veterans Administration in Washington, D.C. In an interview with NPR, Shulkin said that after the Phoenix scandal, Congress told the VA they had to set up the Choice program in 90 days. "I think the reason why Congress asked us to do it in such a short time is because this was a national crisis," Shulkin said. "Veterans weren’t getting care. The concern being that veterans were actually being harmed being on wait lists, so there wasn’t the time to give. So everyone stepped up and put a program in place, in really what would be a record unprecedented time." Shulkin says the VA realized that it couldn’t set up the Choice program on its own, so it asked private companies to bid on two contracts to administer it. And only two companies did. HealthNet got the contract for a big part of the country that includes Montana. We’ve been trying to get an interview with HealthNet since the first of March. A company spokesman says it just completed a merger, and their CEO is too busy to talk to the press. No other HealthNet officials are available for interviews. "Incorrect and sometimes conflicting information provided to veterans. "These bumps have understandably caused a level of veteran frustration," she said. Senator Jon Tester says 90 days was plenty of time to roll out the new program. "I think it is. Obviously they weren’t up to that task, and obviously those timelines cramped their style. But the bottom line is that these folks knew what they were doing," Tester told MTPR. "Ninety days is three months, and all they had to do was set up appointments, develop partnerships with medical providers, and pay them in a timely basis, and they haven’t done that." Tester is extremely critical of HealthNet. He’d like to see Montana vets be able to skip dealing with the company, and go through the VA instead to make medical appointments with private health care providers close to where they live. 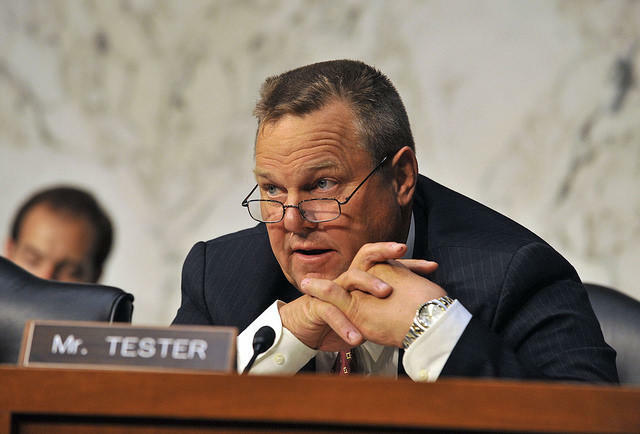 While Senator Tester has little sympathy for HealthNet and the VA’s inability to roll out the Choice program in three months, in the next breath he acknowledges that Congress was, actually, asking a lot. Senator Jon Tester in a committee hearing on veterans health earlier this year. "Should have Congress have put down those kinds of timeframes to the VA? Probably wasn’t the best thing to do," Tester said. "But, keep in mind the times. We had a list of folks in Phoenix that claims were made they died because they were on a waiting list too long and couldn’t see the doctor in a timely manner. So we felt like we had to act and had to act in a prudent manner to get to the heart of the problem. Now, did it happen the way we intended in the end? No, but we’ll get it fixed." Some fixes have been implemented since Senator Tester sent his staff around Montana in February to get feedback from veterans who’ve tried to use Choice. But the VA says the program still isn’t working as intended. Veterans like Bobby Wilson from Superior are really, really frustrated. "If I knew half of what I knew now back then when I was just a kid, I would’ve never went in the military," Wilson told University of Montana Journalism School Student Cole Grant. "I see how they treat their veterans when they come home." Wilson says he’s not going to give up trying to get the healthcare he was promised when he joined the military. He says he refuses to give in to the VA. This story was reported in part by Carrie Miller and Cole Grant, students at the University of Montana School of Journalism. The story was made possible, in part, by a grant from the Montana Health Care Foundation. The U.S. Department of Veterans Affairs is opening a Vet Center this fall in Helena. Unlike larger VA medical clinics, Vet Centers only counsel returning combat veterans and military sexual trauma victims.